Additive manufacturing (AM), or 3D printing, technologies create three-dimensional parts from computer-aided design (CAD) models by successively adding material layer by layer until a physical part is created. 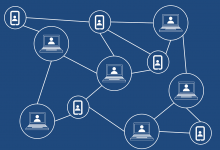 While AM technologies have been around since the 1980s, the industry went through its most striking hype cycle during the early 2010s, when promoters claimed that the technology would find broad usage in consumer applications and reorder businesses from The Home Depot to UPS. Since the breathless hype subsided a few years ago, professional 3D printing technologies have been rapidly maturing in many concrete ways. Recent advances in machinery, materials, and software have made 3D printing accessible to a wider range of businesses, enabling more and more companies to use tools previously limited to a few high-tech industries. Today, professional 3D printers accelerate innovation and support businesses in various industries including engineering, manufacturing, dentistry, healthcare, education, entertainment, jewelry, and audiology. Read on for an in-depth overview of five key trends that have defined the additive manufacturing industry and the outlook for the future. Download the full-size infographic to see how additive manufacturing industry has changed over the last decade. This article originally appeared in the Digital Factory Report. Download the full report for more insights on digital transformation in manufacturing and register for The Digital Factory, coming to Boston on May 7, 2019, to hear from leaders who are adopting cutting-edge manufacturing technologies and using them to transform their businesses. The 3D printing market, with sales of $6 billion in 2017, is projected to grow at a compound annual rate of 30.2% to reach a total market size of $22 billion by 2022. 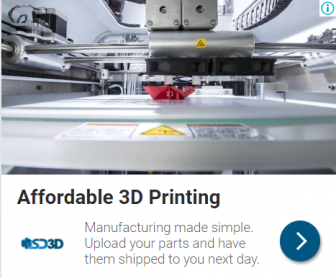 3D printing has been ubiquitous in prototyping and product development for decades. Now this maturing technology is entering widespread use in manufacturing. Improved technology for high-throughput and high-quality printing of final parts, and a variety of improved materials, make 3D printing practical for small and mid-scale manufacturing—in some cases up to tens of thousands of units. 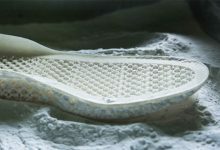 In addition to fabricating end-use products directly, 3D printing offers compelling advantages in “hybrid production,” as an intermediate process alongside conventional processes, for instance in fabricating molds, tools, patterns, fixtures, and jigs. Compact, accessible “desktop” 3D printers have become more capable and, when run in parallel, can outperform expensive industrial 3D printers on cost and throughput. Manufacturers are working to decrease the labor intensity of additive manufacturing (AM) workflows, which is essential for bringing 3D printing to medium- and large-scale production. Investment in metal AM has skyrocketed, with process improvements and new technologies driving down cost per part. For the first three decades of their existence, 3D printers were limited by cost and complexity to large enterprises and service bureaus. 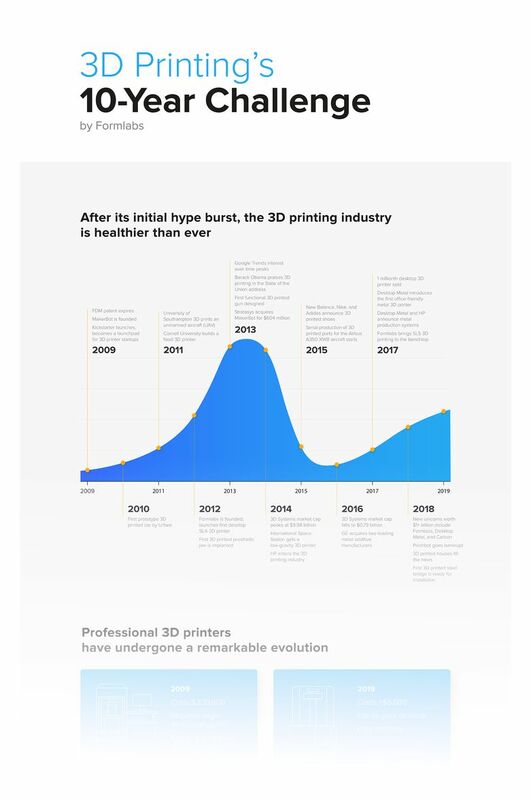 In the early 2010s, driven by more capable embedded hardware, expired patents, and matured technology, hundreds of companies entered the market and began to flood it with 3D printers. A bubble quickly appeared. The first technology to become available on the desktop was fused deposition modeling (FDM). 3D printers that melt and selectively deposit plastic became truly affordable to consumers, but their capabilities remained limited. The surge of excitement quickly plunged into a trough of disillusionment, and the dream that 3D printers would become essential tools in every home never materialized. 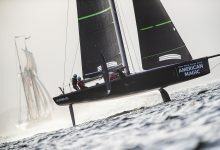 Away from the frothy consumer 3D printing market, however, additive technologies continued to advance rapidly. Printers aimed at professionals for use in engineering, prototyping, and manufacturing began to cross critical thresholds in print quality, reliability, and cost structure. The second technology to appear in a more affordable, compact, and easy-to-use format was stereolithography (SLA). 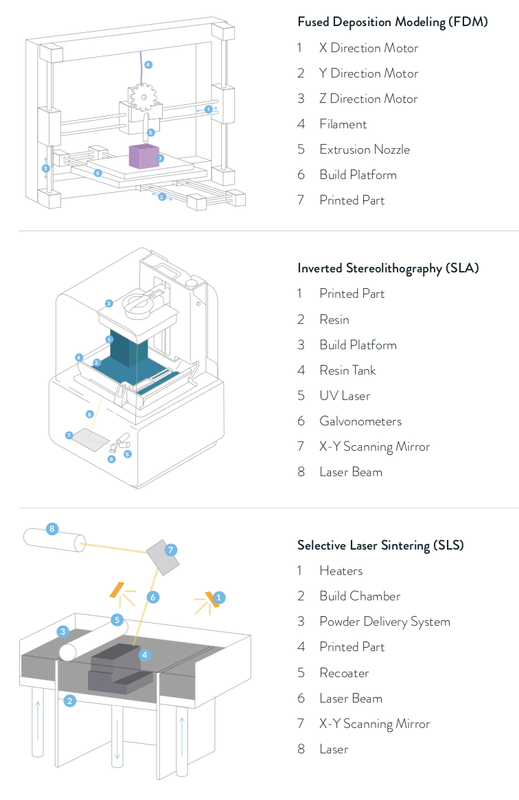 In 2013, the Formlabs Form 1 brought high-resolution 3D printing—previously available only in 3D printers costing more than $80,000—to the professional market at $3,300. Offering a wide variety of functional materials, the technology expanded the use of 3D printing within product design and engineering, as well as in the dental and jewelry industries. The third wave of 3D printing techniques to arrive on the desktop (or, more accurately, the benchtop) is based on selective laser sintering (SLS), which has been an essential technology for industrial users. Unlike other desktop AM processes, SLS creates exceptionally robust parts from thermoplastics such as nylon that are nearly as strong as their injection-molded counterparts. Unfused powder supports workpieces, which facilitates part packing for a higher throughput, and allows for a less labor- intensive post-processing workflow. Until three years ago the least expensive SLS printers cost around $200,000 (and the largest industrial systems as much as several million dollars). Benchtop SLS printers that produce nylon parts are now becoming available in the $10,000 range, making the technology much more accessible and lowering production cost significantly when equipment ownership is taken into account. Benchtop SLS has the potential to expand beyond prototyping and reach into the domain of end-use parts. The three most common plastic 3D printing technologies. Fused deposition modeling (FDM) 3D printers build parts by melting and extruding thermoplastic filament. Stereolithography (SLA) cures liquid resin with a laser. 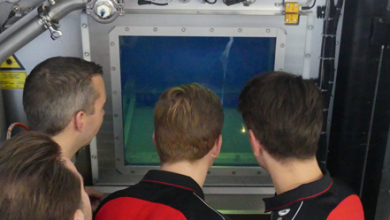 Selective laser sintering (SLS) uses a high-powered laser to fuse small particles of polymer powder. 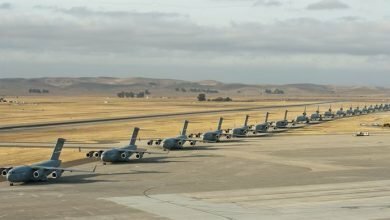 Metals have always floated at the top of the additive manufacturing market, and investment in the metal 3D printing market has grown tremendously in the last several years. Metal 3D printing offers the allure of exceptionally high-performance parts made from steel, titanium, nickel alloys, and aluminum with exotic geometries for demanding, high-value industries like aerospace and medical devices. These industries are able to take full advantage of 3D printing in fabricating metal parts—in particular generatively-designed, highly latticed parts that decrease material needs and part weight. The most common traditional metal AM systems are selective laser melting (SLM) and direct metal laser sintering (DMLS). Just like plastic SLS, these processes create objects from thin layers of powdered material by selectively melting it using a heat source. But given the higher melting point of metals, they require much more powerful lasers and an industrial environment. Until very recently, the extraordinary cost and complexity of these metal 3D printers has made them impractical outside a somewhat narrow range of high-value, low-volume applications. DMLS and SLM metal printers start at $400,000 and go well beyond $1,000,000, and they require highly skilled operators and carefully controlled environments. Unlike plastic SLS prints, laser-sintered metal parts require support structures. Post-processing is labor-intensive, and some parts need further machining steps to meet final requirements. The metal 3D printing field has been the subject of active investment in the last several years. 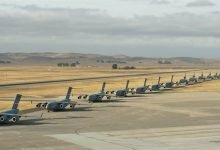 In 2016, GE acquired two leading metal AM companies, Concept Laser and Arcam. Several venture-backed companies, including Desktop Metal, Markforged, and Xjet, are pursuing new metal 3D printing processes that promise to lower cost-per-part and make metal 3D printing affordable for a wider range of applications. 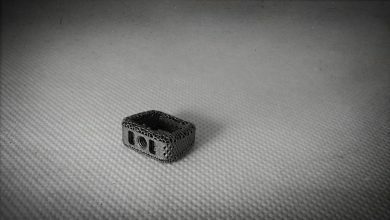 Aiming to disrupt the market from the low end, Desktop Metal and Markforged have developed compact, accessible systems that work similarly to FDM, but use composite materials made from metal powder bound in a plastic matrix. After printing, the parts are cleaned and sintered in a furnace to remove the binder and fuse the metal powder into solid metal parts. 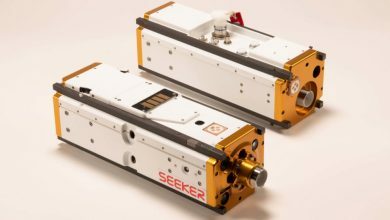 With prices that begin around $100,000 for a complete system, these systems are much less expensive than traditional laser-based metal AM systems. Desktop Metal’s second, higher-end production system combines proven materials from metal injection molding with a technology similar to binder jetting to jumpstart its ecosystem and decrease costs considerably. XJet’s metal jetting technology suspends metal particles in liquid and dissipates them with heat to form solid metal and ceramic parts. While these technologies will not (yet) bring metal 3D printing to the masses, they’ll lead to much wider adoption of additive manufacturing in a range of low- and medium-volume industries, and will modernize prototyping and product development processes for metal parts. Desktop Metal’s Studio System works similarly to FDM, but uses composite materials made from metal powder bound in a plastic matrix. After printing, the parts are cleaned and sintered in a furnace to remove the binder and fuse the metal powder into solid metal parts. Image: Desktop Metal. Counterintuitively, labor is the costliest component of most AM processes. 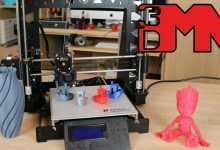 A 3D printer isn’t a magical box that produces a pristine part at the push of a button; technicians must remove parts from printers and perform some degree of post-processing. This could involve anything from a light brushing to extensive solvent-washing, heat treatment, abrasive polishing, and coating processes. In order to gain a foothold on the factory floor, AM systems have to decrease labor needs and fit into existing manufacturing workflows. Workflow and technology improvements promise savings on labor costs. Some FDM printers with dual nozzles offer soluble supports that can be easily washed away in solvents. Some SLA systems simplify post-processing with automated cleaning and post-curing stations. Because plastic SLS prints require no support structures, their post-processing workflow tends to be less labor intensive than with other processes, and more parts can be packed into the build volume as well, decreasing the amount of handling required per part. Metal AM manufacturers increasingly offer modular, semi-automated systems that simplify post-processing workflows including powder handling and extraction, heat treatment, and part removal. 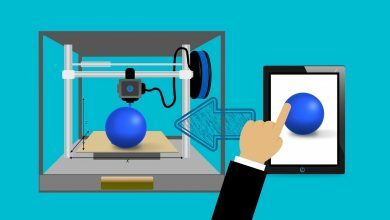 Just as computing shifted from mainframes to desktop PCs in the 1980s, 3D printing systems are also shifting from monolithic to distributed. Formlabs, Stratasys, 3D Systems, and Mass Portal have all introduced cells of automated, compact, modular printers for plastics. Robotic arms and gantry systems carry out part removal to reduce operator tasks, allowing the printers to run 24 hours a day for continuous production in a “lights-off” setting. Smart cell management software optimizes print queues, provides remote monitoring, and integrates with factory CRM, ERP, and MES systems. An array of sensors detects print failures and protects operators. Modular systems also have the added benefit of redundancy—if one machine breaks down, the others can distribute the workload and continue production without interruption. Form Cell, a modular production cell developed by Formlabs, uses a robotic arm and gantry system to remove finished parts and clean them in a washing station before placing them on a rack for post-processing, saving considerable human labor. 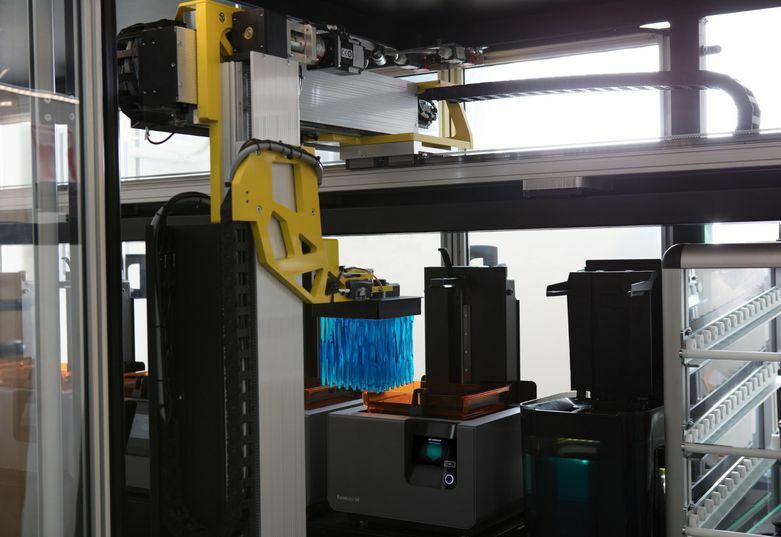 These automation cells further transform the economics of 3D printing by turning clusters of desktop machines into production-run machines, offering high throughput at low cost. 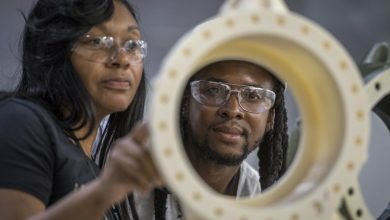 Additionally, they let engineers and designers use the same 3D printing platform to both prototype and manufacture, reducing costly design-for-manufacture processes and shortening product development cycles. Additive manufacturing systems are the Swiss Army knives of manufacturing tools. 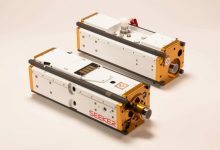 They work with a wide range of materials; by switching between them, a single machine is capable of producing parts for many different applications. One of the best examples of this versatility is in resin-based polymer 3D printing processes, like stereolithography (SLA). The same compact, desktop SLA 3D printer can produce biocompatible splints and surgical guides in a small dental office, and jigs, fixtures, and temperature resistant molds for an automotive factory. Other advanced 3D printing materials similarly allow the digitization of heretofore analog processes. High-temperature resins can be used in low-pressure plastic injection molding and can even be used to cast soft metals like pewter. Although molding quality might not match that of hard tooling, 3D printed molds satisfy a crucial need in small- and medium-run production where the cost of tooling might not otherwise be recoverable. SLA, SLS, and FDM parts can be used to fabricate jigs and fixtures for industrial production lines, replacing costly machining processes. 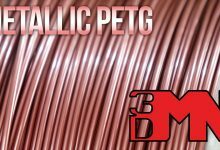 PEEK, ULTEM, and reinforced engineering thermoplastics for FDM provide improved mechanical properties and temperature resistance to replace even metal parts. And new ceramic SLA materials promise to deliver exceptional heat resistance and inert chemical interaction. Four parts produced using the same SLA 3D printer. 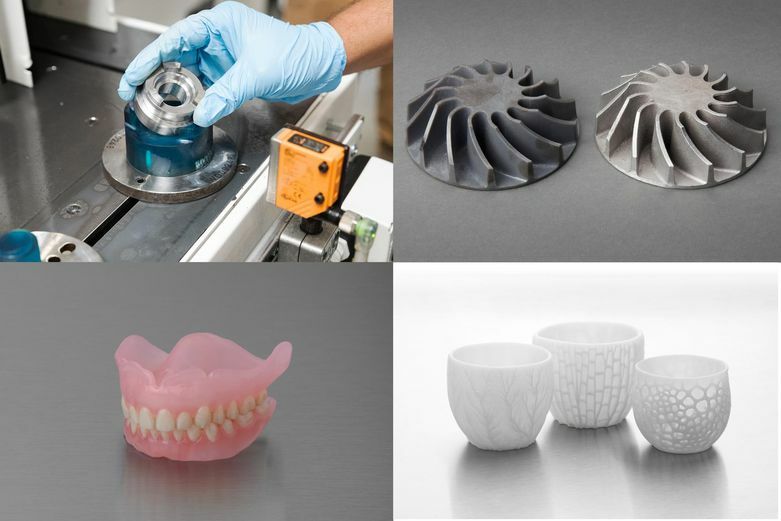 From top left to bottom right: a fixture in an automated production line at an automotive factory; a metal part casted using a 3D printed pattern; a biocompatible denture; and ceramic tableware. 3D printing is not a cure-all for every manufacturing need; so far it has only made sense for the highest-value, lowest-volume, most-customized work. For high-volume production, conventional methods remain more cost effective. Nevertheless, the economics of 3D printing are improving, and the cost-per-part threshold is moving: it’s becoming practical to use the technology in incrementally lower-value, higher-volume applications. 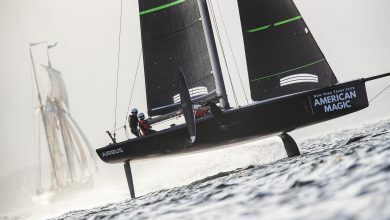 Fueled by technology innovation and improving material properties, AM is bound to further expand beyond prototyping toward end-use parts and mass production. The economics of 3D printing are improving, and the cost-per-part threshold for manufacturing with the technology is moving: it’s becoming practical to use AM in incrementally lower-value, higher-volume applications. a piece digitally, then 3D print it in a castable resin that can be immersed in a sand-like investment material and cleanly burned away in an oven, just like regular models made of jeweler’s wax, leaving a cast for precious metals. 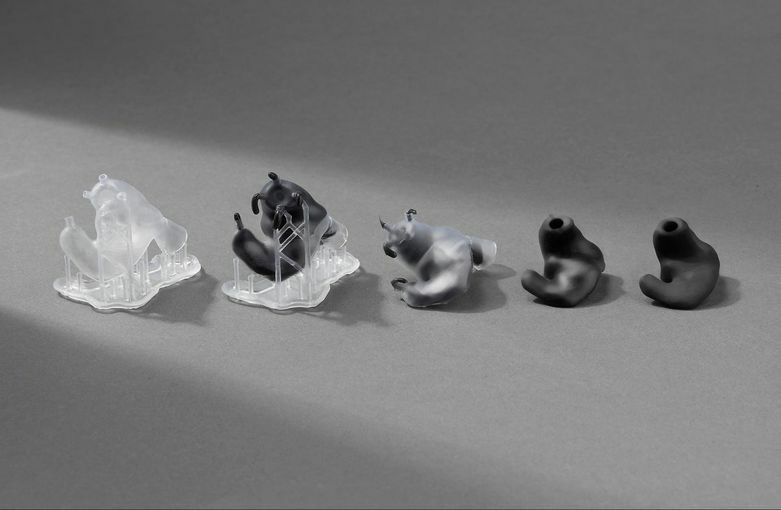 A hybrid 3D printing process can also produce affordable custom earbuds. 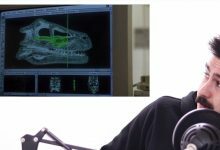 The process begins with a fast, non-intrusive digital scan of the customer’s ear canal using a 3D scanner. 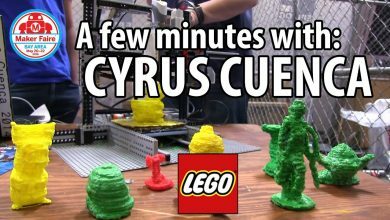 A technician edits the digital file into a 3D printable mold, and sends it wirelessly to an SLA 3D printer. Once printed, the parts are cleaned and the technician casts biocompatible silicone into the molds, removes the 3D printed shell, then finishes and coats the final product. 3D printing thus becomes an integral part of these traditionally artisanal processes, even though nothing in the final product itself is 3D printed. Custom earbuds are made by casting biocompatible silicone in 3D printed hollow molds. Each printed mold costs $0.40 to $0.60 in resin, and the overall production of a final pair of earbuds costs approximately $3 to $4 in raw materials (including silicone and lacquer). 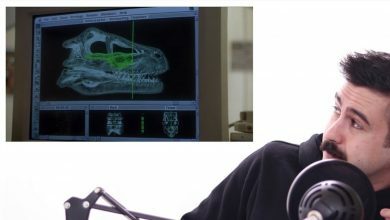 Industries like dentistry, medical devices, and audiology are rapidly adopting 3D printing to produce final parts that conform to unique patient profiles. As 3D printing becomes standard in dental practices and labs, it will increasingly be used to produce splints and dentures directly from biocompatible materials. 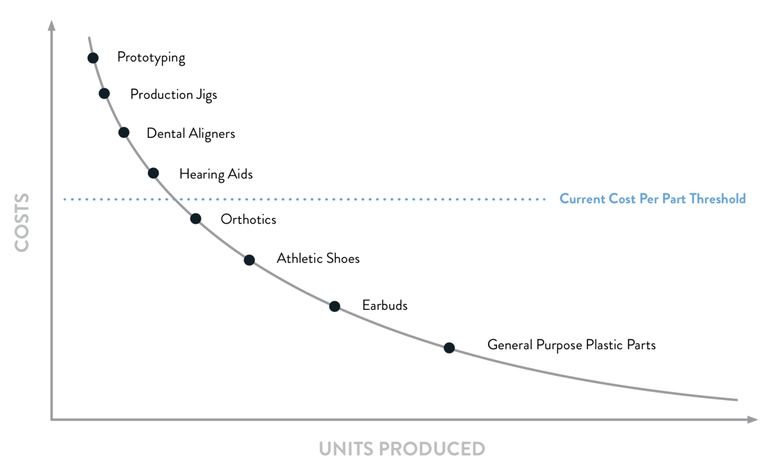 In audiology, most custom hearing aids are already 3D printed. The broader medical market also offers tremendous potential. For example, strong, biocompatible SLS parts can be used to produce custom orthotics and other devices that come into contact with skin. As costs fall, additive manufacturing is also bound to appear in more conventional consumer products. In the highest-volume segments of the consumer electronics industry, for instance, injection molding is still the only practical way to produce plastic parts. But in the broad middle-volume segment of the electronics industry, 3D printing has begun to take hold. By using additive manufacturing instead of injection molding, electronics manufacturers are able to streamline product design and production, maintain flexibility, and, with no tooling necessary for 3D printing, reach break-even points with injection molding at volumes over 10,000 units. 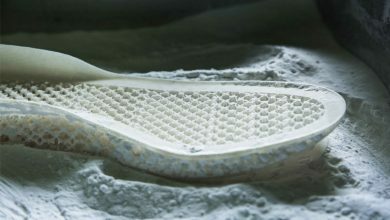 Shoe companies like New Balance and Adidas have announced plans to mass produce custom shoe midsoles that are 3D printed from rigid polyurethane (RPU) within the next few years. Here, too, 3D printing will be combined with other manufacturing methods, producing the most critical and highly-customized parts of the product and leaving other parts to traditional, cost-effective fabrication processes. 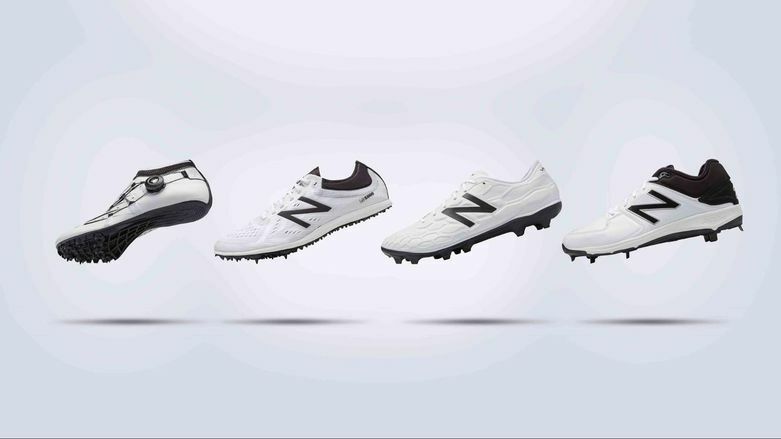 Shoe concepts by New Balance with 3D printed midsoles. Download the Digital Factory Report and tune in for the podcast for insights on the digital transformation in manufacturing and technologies like additive manufacturing, AI, robotics, and automation. Attend the next Digital Factory conference in Boston on May 7 to hear directly from digital manufacturing leaders including the CEO of Align Technologies, the CIO of FedEx, the CTO of GE, the CEO of Desktop Metal, the head of manufacturing of Ford Motor, and more. 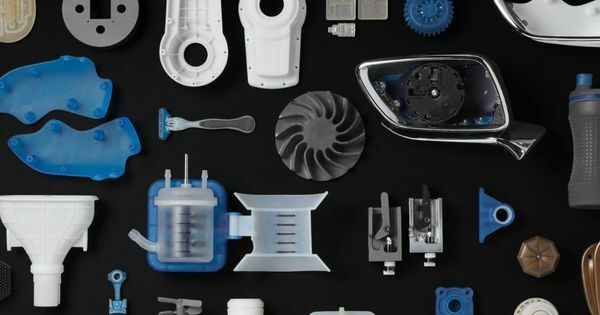 Additive manufacturing hardware and materials are rapidly advancing and cost per part continues to fall, opening up to a wider range of low- to mid-volume applications. 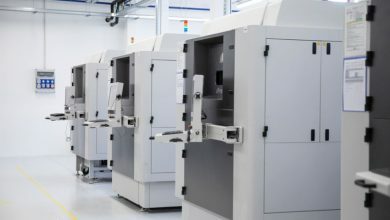 See how leading manufacturers leverage additive manufacturing to save money, shorten lead times, solve complex problems, and improve processes from prototyping to production.